UTSSU would like to announce the Women’s trials for the upcoming AVL season. This team is open to all players within NSW and is endorsed by SVNSW. This year is shaping up to be an exciting year for AVL and so UTSSU welcome all interested players. Venue: Ross Milbourne Sports Halls, UTS, Cnr Harris and Thomas St, Ultimo. Venue: Sydney Uni Sports and Aquatic Centre. Cnr, Codrington St and Darlington Rd, Darlington. Registrations for the trials will open shortly with a registration form circulated. Selected players will begin training on the 20th August, with the season beginning in October and running through to December. We look forward to seeing you at trials! Please fill in the form here to proide further information to the coaching group. What else can be said but… wow. If you weren’t playing in this tournament, then just ask someone who did and you’ll find out just how good it was. This was the first UTS Cup that has been run for many years, well before I started at the club back in 2012. It ended up feeling like a boutique tournament that filled the desire for social AND representative players (and volleyball tragics) either looking for a freshener to their season or to try their hand with some new teammates. I’m already keen to see the next one come around and for it to cement its place in the NSW Volleyball calendar and create a legacy. It went down to the final round game to decide which team would rank first and second before finals. Unbeaten favourites, The Project (1st in rounds) were almost toppled by a rampant Hitdat (4th in rounds) in a semi final which went 2-1 to The Project and 26-24 in the deciding set. Second favourites, Shabangabang (2nd in rounds) had a similar battle on their hands against Spiked Punch (3rd in rounds) after dropping the first set in the semi final. The final saw SVL Honours players from SNV (in Shabangabang) and Endeavour (in The Project) going point for point with kills, blocks, scrambling and cheering (combined with the regular one-liner and heckling from the crowd, a.k.a. Ex-President Nam Pham). Note: Apologies to all players who experienced the olfactory tactics from the Shabangabang captain. They proved to be as much sabotage as they were effective against the opposition. With only a one day tournament, the women’s teams were flooded with opportunity to play. 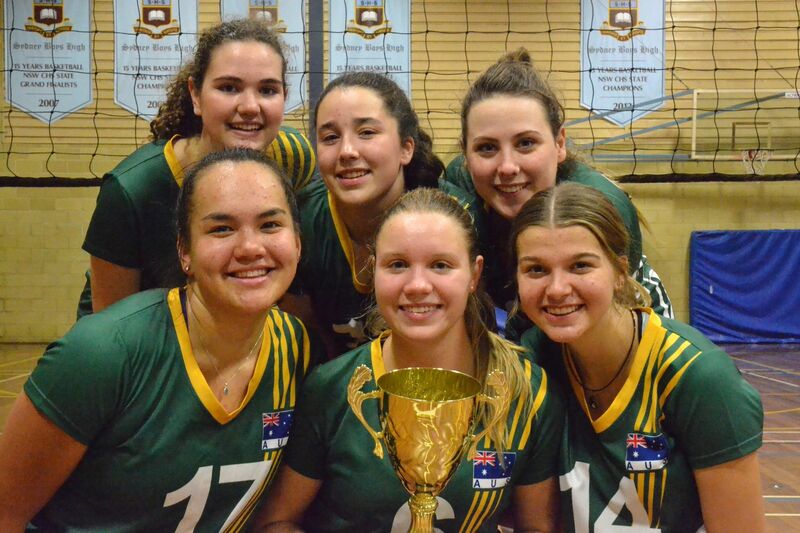 The tournament was very lucky to have received two teams from the Australian Junior Women’s Development Program, as part of their preparations for the Asian Youth Championships and a tour of America. 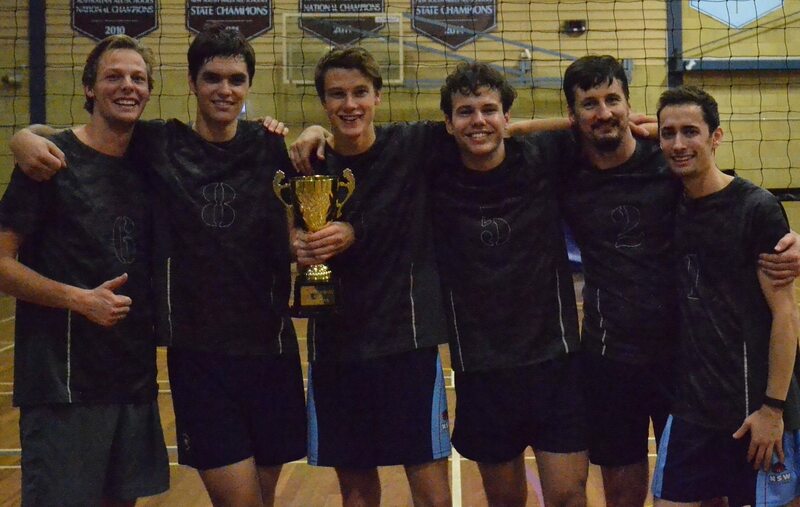 It was clear from the beginning that these teams were a class above their opposition, however it gave some very valuable experience to the teams from the NSW State Team and the UTS Unigames team. Tournament Director Jason is a very happy man. 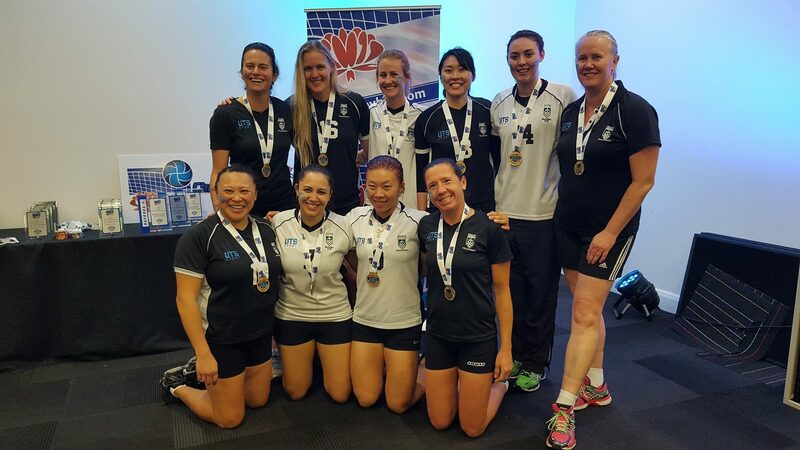 It took a lot of work to organise a new tournament in an already busy NSW Volleyball calendar, however I cannot be appreciative enough of the players and coaches of the teams that took a leap of faith and supported the tournament in its return. It goes without saying that the tournament would not have been possible without each and everyone one of you. Thank you! It was nice to have such a positive response about 1st Referees and Scorers being provided as part the entry fees, longer 75 minute time slots and a BBQ lunch on Sunday. These are definitely elements that teams can look forward to again in the 2017 UTS Cup. Finally, a massive thank you goes to the players of the UTS Unigames team. 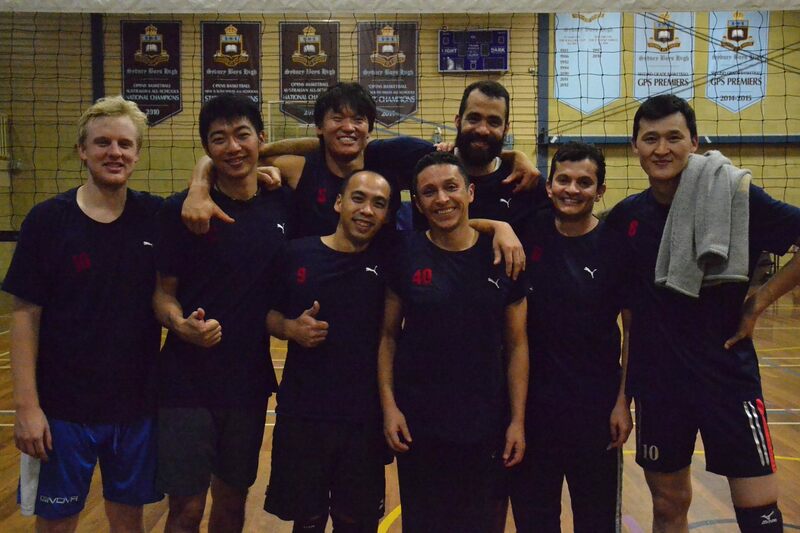 UTS Cup is a fundraising tournament for these players as they prepare to represent UTS Volleyball Club at the Eastern and Australian University Games. They were the dedicated individuals who braved: the dizzying heights of the referee stand; the confusion of the international scoresheet, and; the risk of serious burns at the hands of a school BBQ. You guys are awesome and it could not have been done without you! Keep a look out for us on the calendar next year! 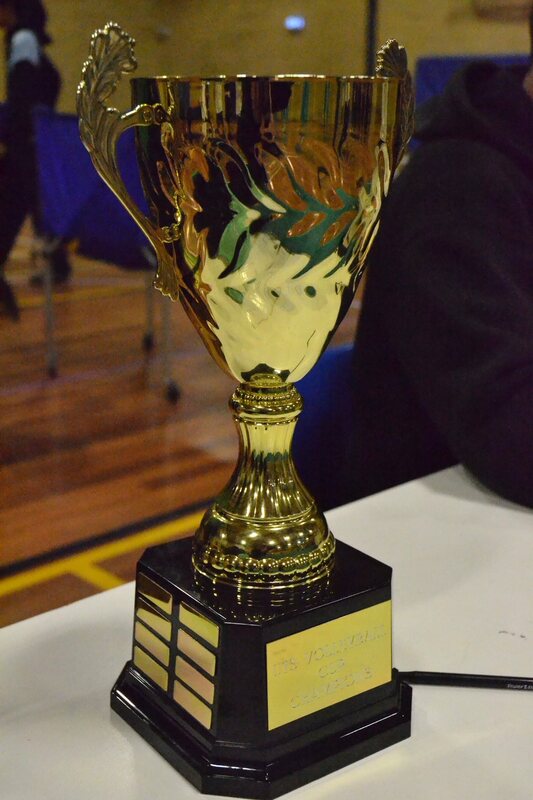 Teams will be coming together at Sydney Boys High this weekend to compete for the UTS Cup. Bragging rights & pride will be on the line. Thanks to the teams for supporting this event. The tournament draw can be found here: UTS CUP – Draw V1. Please make sure you arrive 15 minutes before your first scheduled game/duty. One first referee and one scorer will be provided by UTS Volleyball Club for every game. Teams will need to provide an assistant scorer and lines-people. The playing venue is Sydney Boys High School, Cleveland St, Moore Park. Plenty of free parking is available on site. We will have a BBQ lunch running on Sunday and your teams will each receive vouchers for a free sausage sandwich. Due to limited entries, the women’s draw has been reduced to Sunday only. In light of this, entry fees for women’s teams have been reduced. 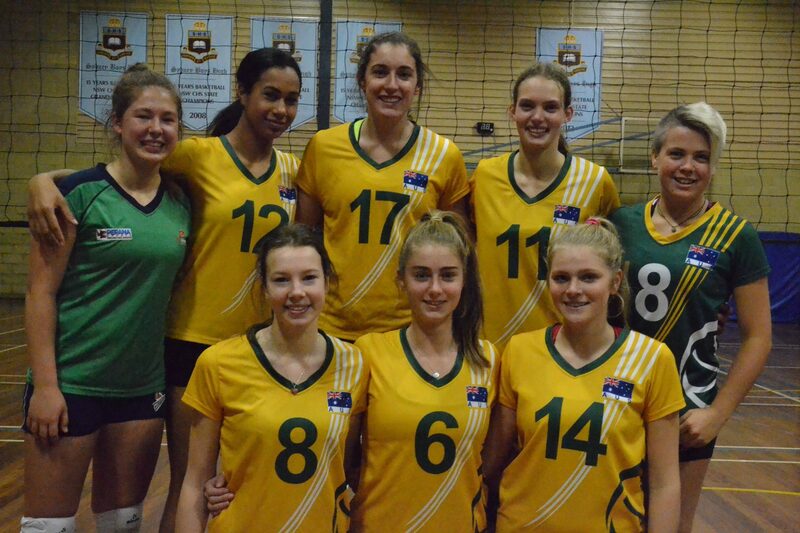 UTS volleyball teams made the trek north to the Newcastle State Cup for the weekend of 14/15 May. Some updates are provided below. Making the trek up Friday night, left some feeling very fresh and ready for the first Saturday game against a junior State team (which did include a UTS young gun). A solid start to the tournament saw the team take the first game in a rather intense affair. Game 2 left the team feeling a little flat. The 2:1 loss was not our best performance and probably a game we could have won. Needing to win our third game to get to quarterfinals, the pressure was on. Unfortunately the pressure (it was a pretty big sheep station we were playing for) was too much and we crumbled. We won our consolation game against the other state junior team to finish off the weekend. A fun time away. Now for State League! Last weekend, the state cup tournament #3 (Newcastle) took place and over 50 teams from around NSW were making their way to Hamilton. Amongst these teams were also the UTS Div 2 girls together with head coach Yoshi and co-coach Jali. The late start (3 pm) on Saturday allowed even the people coming up on Saturday from Sydney to have a sleep in and even Susannah who suffered some heavy traffic made it in time for the first game. The first game was against Blue Bees 1, who were not able to withstand the strong serves of the UTS girls. Especially Lyndel seemed to have a very good lunch as she was smashing the balls around the ears of the Bees. The game ended in a clear 3:0 (75:30) victory of the UTS girls. It was a great opportunity for the Div 2 team to concentrate on some of the weaker things such as passing and middle hitting. After a short break and great game analysis by coach Yoshi (we really love the analysis Yoshi! ), the second game followed against the CC Stingrays. Still fresh and energetic, the serves of the UTS girls were again so strong, that the stingrays could not return many. Lyndel was again serving one after the other and – to the best of my knowledge she served once around 13-15 times in a row. However, unfortunately the UTS Div 2 girls struggled from time to time especially with unexpected returns. Overall, the second game was also a clear win with 3:0 (66:32). It was great to see that although Yoshi took the opportunity and shuffled the positions of some players to try different combinations, the team did not get confused (at least not a lot :-)). The last game of the day was late in the evening (7 pm start) against the Pittwater girls, a very young and new team. Everyone could feel the tiredness and it was a bit a struggle at times for the UTS girls. The girls finally saved a 3:0 win although not as smooth as expected. After the last duty was over (and we finally found Lyndel hiding on the physio bench), the team was running to a restaurant to get some deserved food and rest. Sadly, we had to say good bye to Josie who was unfortunately not able to play with us on Sunday. The second day also had a comfortable late start with the first game at 12 pm. Unfortunately Amy suffered from returning back problems and received some back strapping from the physio. The game against coffs harbour led the team to their fourth win and into the semi final. Problems were still found in the percentage of good passes and hits that would lead to direct point (so called kill hits). 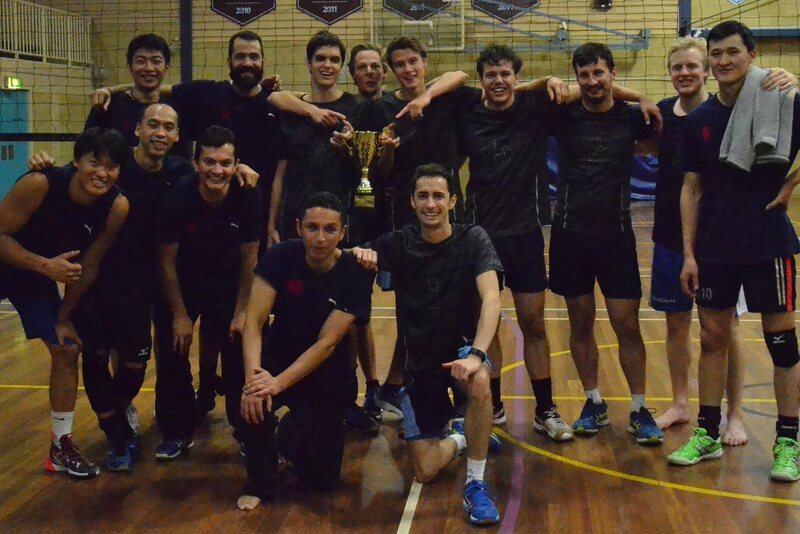 The semi final against UniSyd was a thriller and I am sure Yoshi aged a few years during that game. The first set was a clear win for the UTS girls with 25:19 playing their hard serves and trying to concentrate on good passes. However, the UTS girls struggled in the second set, not passing well and hitting was, well, I don’t want to go that far, but close to abysmal. Therefore, UTS girls lost the second set 25:17, leaving us 2 points behind. Nonetheless, after a weak start in the third set, the girls pulled it together and Susannah was pretty much winning the third set with her strong serves and nerves, so that UTS won 11:9. With Lyndel having a look-a-like tennis ball already on her elbow and Amy being limited due to her back, the final game against Blue Bees started very close with both teams head to head. Unfortunately the first set went to Blue Bees with 26:24, so close! Moreover, Lyndel got injured on her arm and was not able to show her full strength. However, the team fought back in the second set and won it 25:15. Finally in the deciding third set, unfortunately UTS could not keep it up anymore and lost the gold medal to the Bees. Although the girls did not win gold, they won in getting closer as a team and testing out different combinations for the next Sunday’s SVL start. Thank you to all the players (Amy, Annabel, Lyndel, Susannah, Josie, Alia, Claire, Deb) and a massive thanks to Yoshi for a great weekend and so much fun!!!! 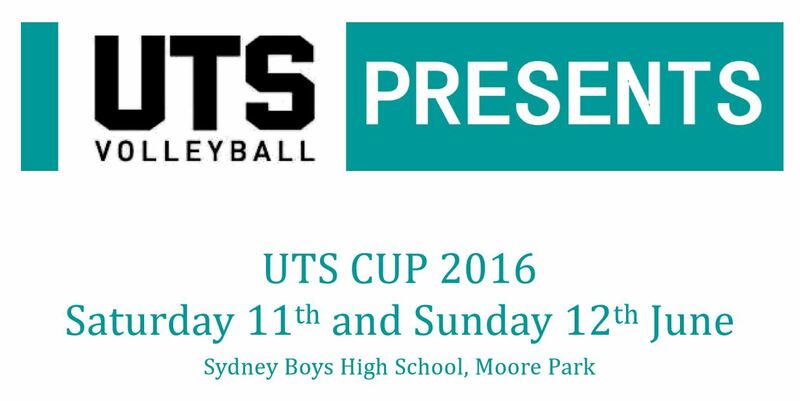 UTS Cup makes a return in 2016 and we are looking forward to a great weekend of volleyball! 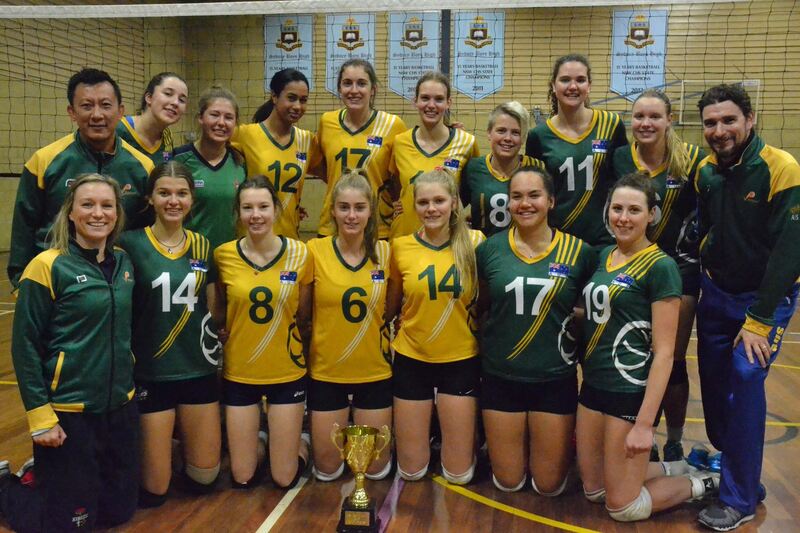 All players must be registered members of State Volleyball NSW and/or Volleyball Australia. One-off Tournament Registrations will be available at the venue, but must be completed prior to any player taking the court. A team will only be accepted into the Tournament upon submission of a completed Entry Form (including Team List) and receipt of Team Fees by UTS. The nominated Team Representative will receive email notification upon successful entry into the competition. Priority placement of teams in this year’s event will be given to those teams who submit completed Entry Forms with their Entry Fees. Entries are capped at a maximum of 16 teams. Team entries after we reach capacity will be waitlisted and allocated to the competition where possible. Entries close at 5pm on Wednesday, 8 June, 2016. Teams withdrawing after this time will forfeit any paid entry fees. Thank you for your support of UTS Cup 2016 and we look forward to seeing you on the court. 81 juniors want to play volleyball! On Saturday 5th March we had another record attendance at Junior Trials with an amazing 81 juniors turning up. For the boys session we saw 42 players giving their best under the direction of guest senior coach Mark Munter. We had a new record set for planking at a junior session, with a Gold Ticket awarded to John Sio & Charlie Evans with a time of 05:30 (MM:SS) and special merit to Harrison Perry for showing amazing determination to get to the 5 minute mark. 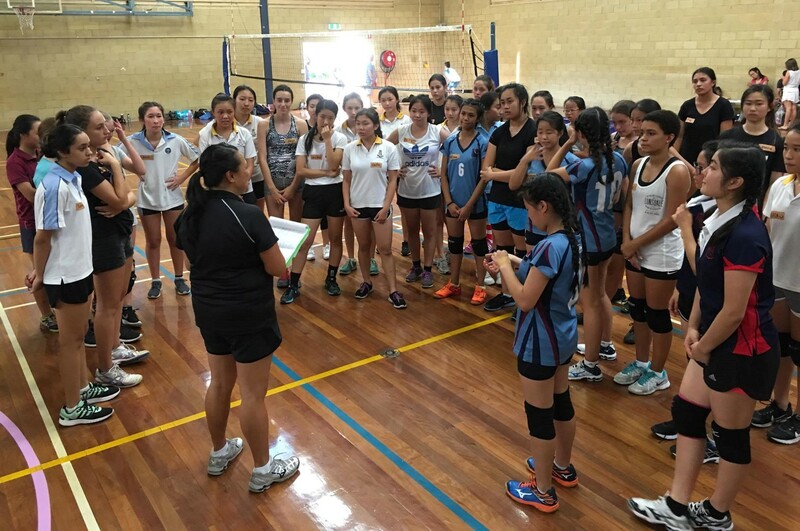 The next session saw 39 girls turn up for their trials under the direction of Head Coach Deb Chung. The group was split up into 4 teams so everyone could have the opportunity to demonstrate their match play. We saw some power serving by some of the girls and lots of great scrambles in defence. It was great to see some very talented Volleyballers and many showed great potential for developing their skills. We are very pleased that so many juniors want to play volleyball and attendance was far more than anticipated. Teams will be announced shortly and we thank everyone who came to a Trials.